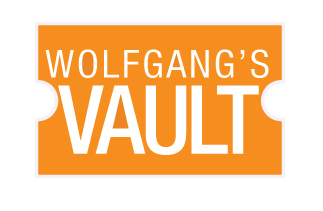 Wolfgangsvault.com debuts the Video Vault featuring thousands of rare, historic, vintage and archival concert performances recorded throughout the past 5 decades. 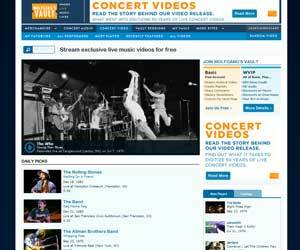 Wolfgang's Vault, the world-acclaimed archive of live music recordings, today announces the opening of the Video Vault. In the beginning, there were tapes — literally thousands of tapes of every format used in the capture of moving picture and sound from the last 50 years. Some were in such a state that they may only have had one more play-back left in them before the footage they contained was stripped away forever, while many others suffered from dubious labeling practices, making it difficult to determine what sort of content they might hold, where it was filmed, or even when. It has taken four years and millions of dollars to archive and restore this content so that it may be preserved and presented in the best possible form for your enjoyment, and we are proud to announce that the time has come for the great unveiling — the Concert Video section of Wolfgang’s Vault arrives April 27.